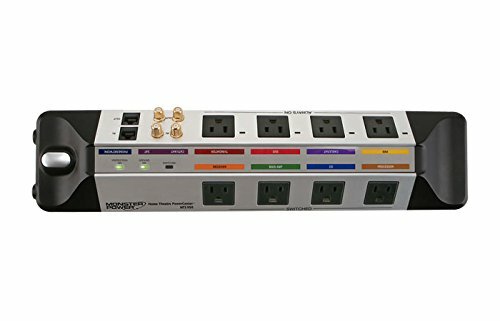 2600 joules protectionMonster Clean Power Stage 1 v2.0 filter for better picture and sound8 ultra wide spaced outlets for AC surge protection. 2 pair ultra-low loss protected coaxial connections1 pair of protected phone/network connections for satellite/TiVo /phone/network protection. Dimensions: 2.44" H x 3.94" W x 17.05" L; weight: 4.24 lbs.